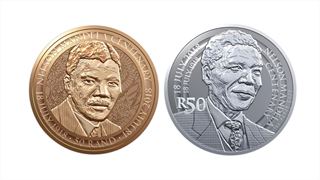 On 5 December 2013, statesman and struggle icon Nelson Rolihlahla Mandela died. 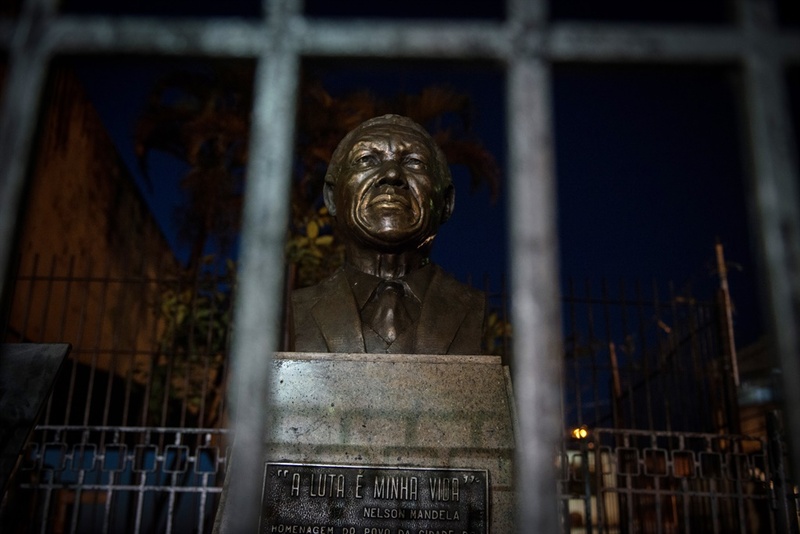 In recognition of his extraordinary life and impact on the world, many statues have been erected in his honour. 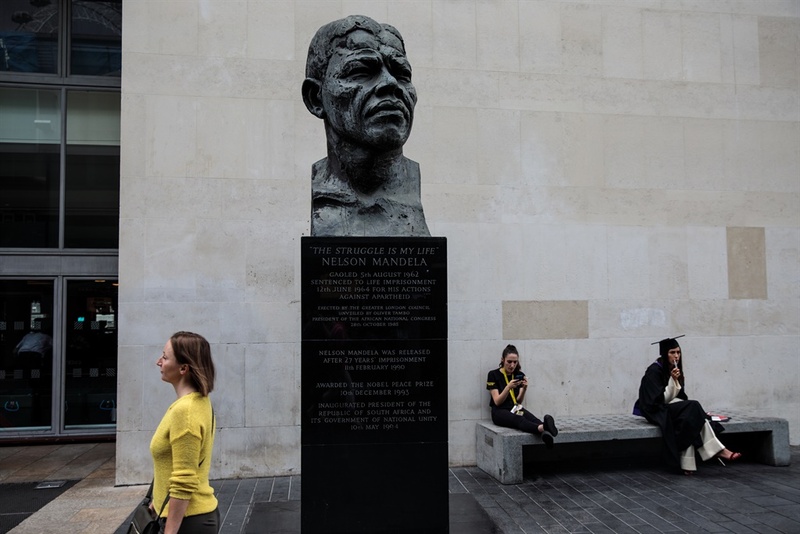 Fittingly, some of the best Mandela statues are in South Africa, but you will also find him in London, New York, Brazil, and elsewhere. 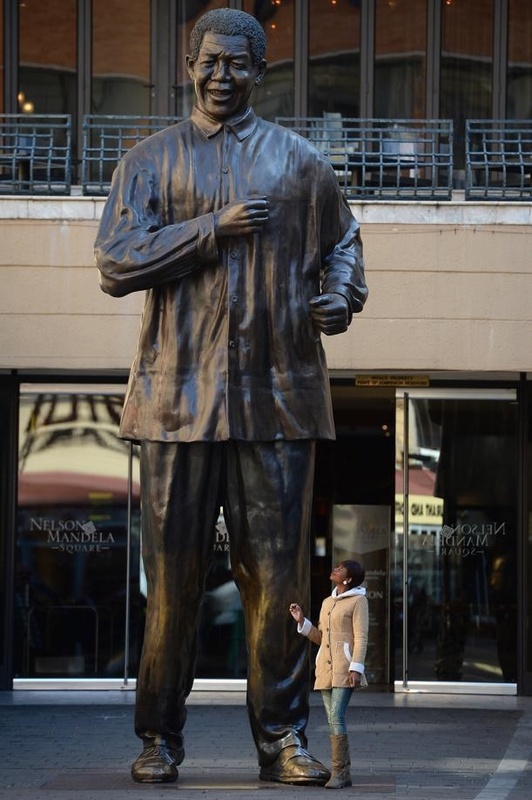 These are some of our favourite statues of the man affectionately known as Madiba. 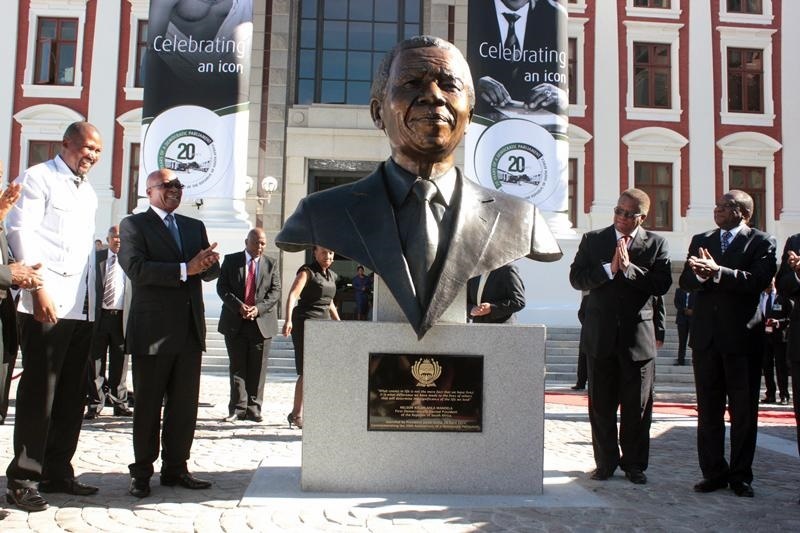 The 2.8 metre bronze bust rests outside Parliament in Cape Town. 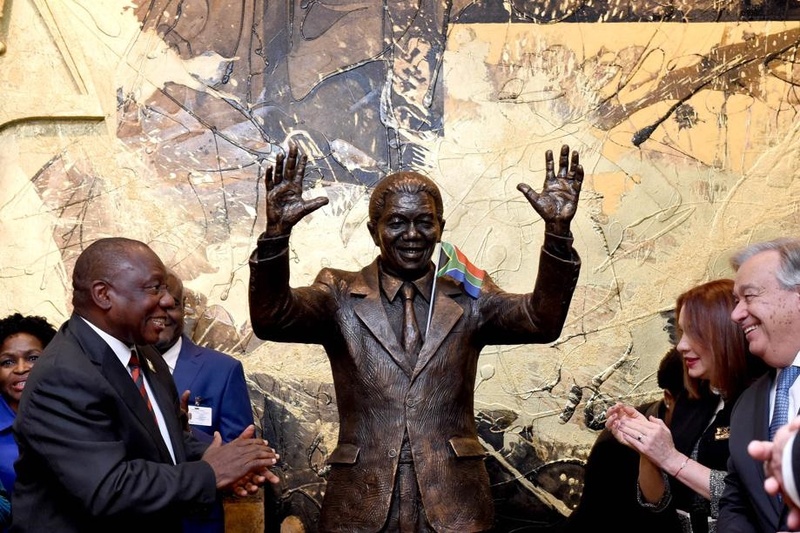 President Cyril Ramaphosa, President of the General Assembly, Ms Maria Espinosa and Secretary-General Guterres unveiling the Nelson Mandela Statue at the UN Headquarters in New York. 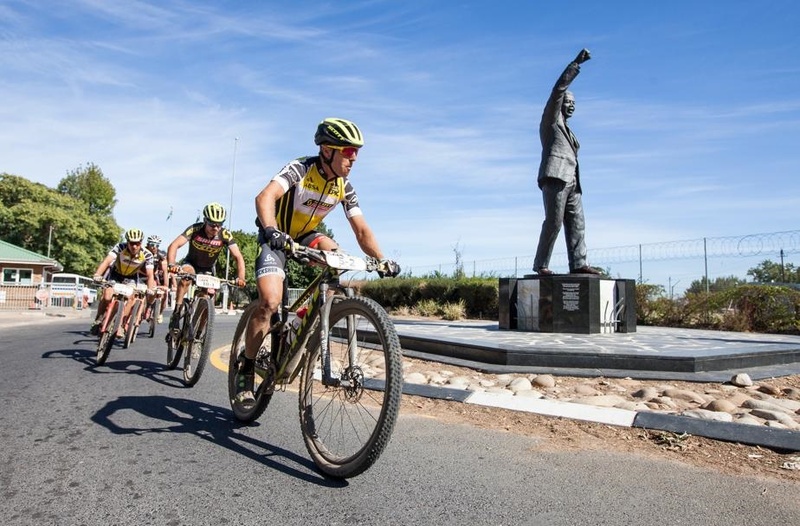 Outside the Drakenstein Correctional Centre. 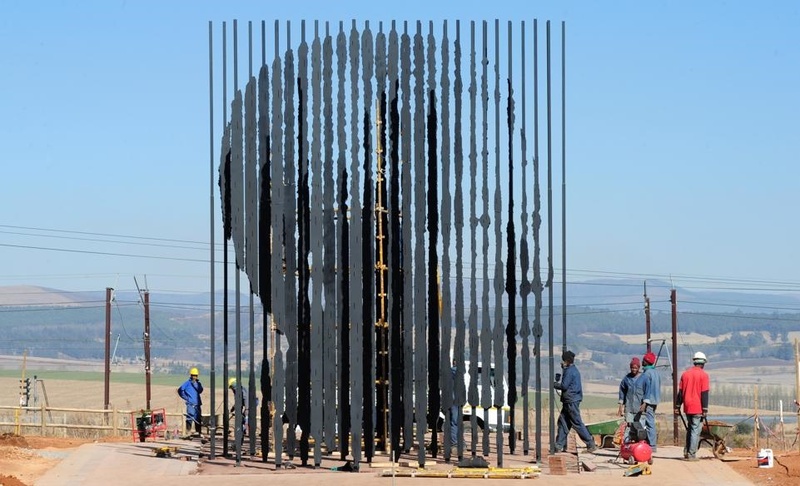 Construction workers put finishing touches to the Nelson Mandela statue at the Mandela Capture Precinct outside Howick. 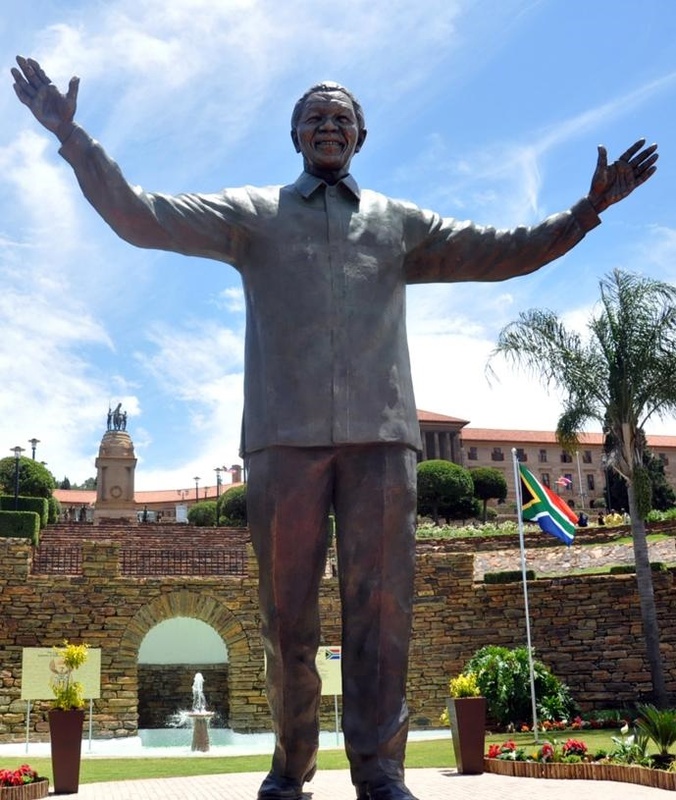 The Nelson Mandela statue at Union Buildings, Pretoria. 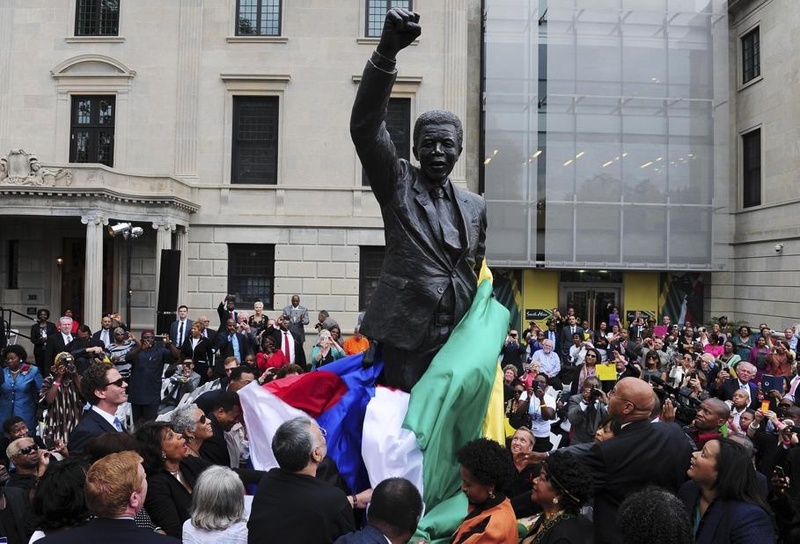 The nine-foot statue of former South African President Nelson Mandela is unveiled outside South Africa's newly renovated embassy in Washington, September 21, 2013. 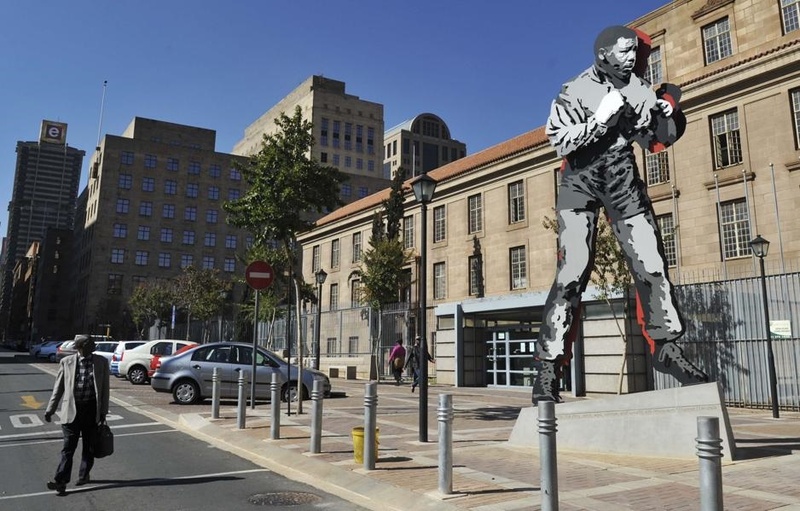 This 6 meter statue of Madiba shadow boxing was unveiled in front of Chancellor House and the Johannesburg magistrate court on Fox street. 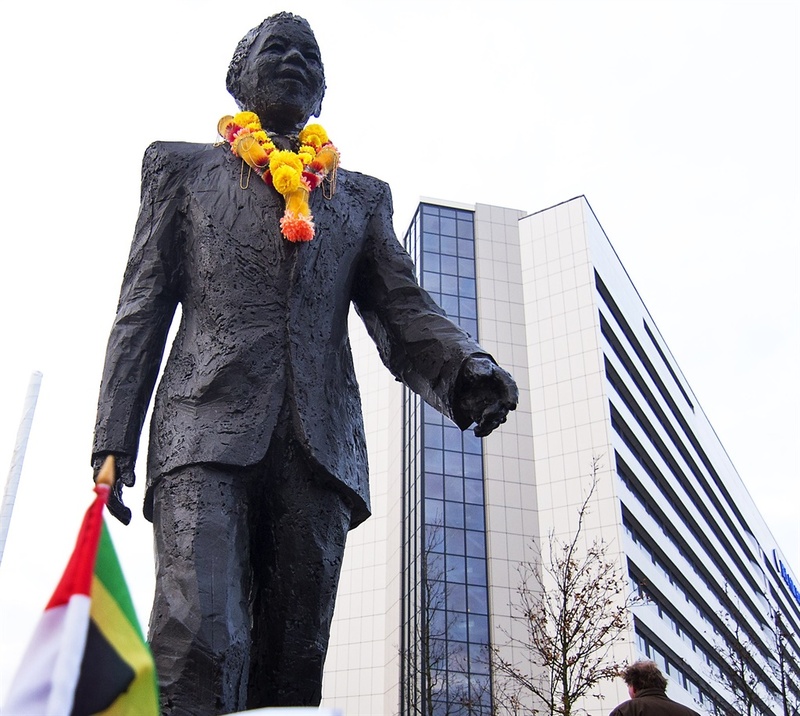 On the night after the unveiling, on 29 August 2007, an unknown person went and placed a South African scarf around the Mandela Statue as a symbol of South African pride. 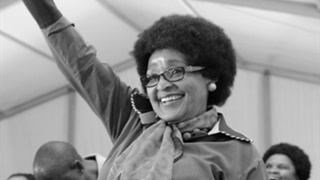 The scarf stayed in place around Madiba’s neck for months and become a reasonable well known accessory of the Mandela statue. It was eventually taken by a tourist as a souvenir. 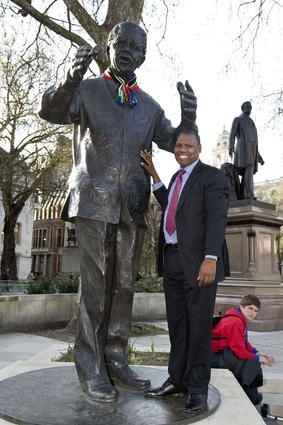 On a visit to London, KwaZulu-Natal Premier Dr Zweli Mkhize decided that with the London winter being extremely cold this year, that Madiba might need his South African scarf back. At the end of Dr Mkhize week-long official trip in London he went to visit the struggle icon to wish him good health and importantly, to replace the original. SpaceX tried to land a 16-story-tall rocket on the ground, but it plunged into the sea. 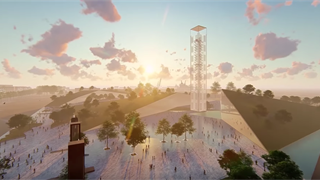 These dramatic videos show what happened.